Here’s a treat you can add to your nice list this year! Four 1.25 oz. 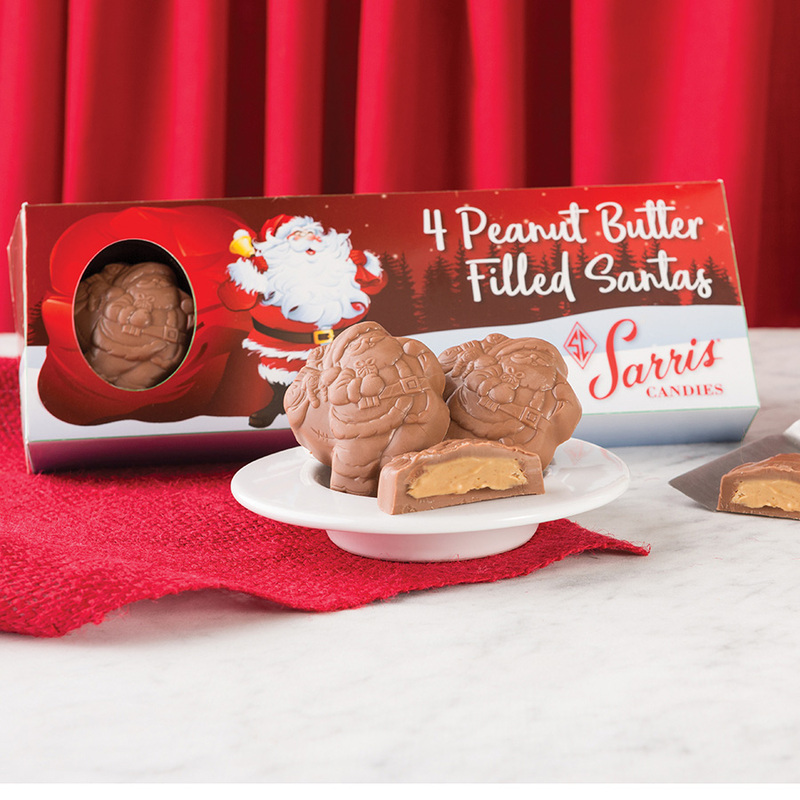 creamy peanut butter filled Santas are tucked away into this decorative holiday gift box and ready to be stuffed into your stockings!